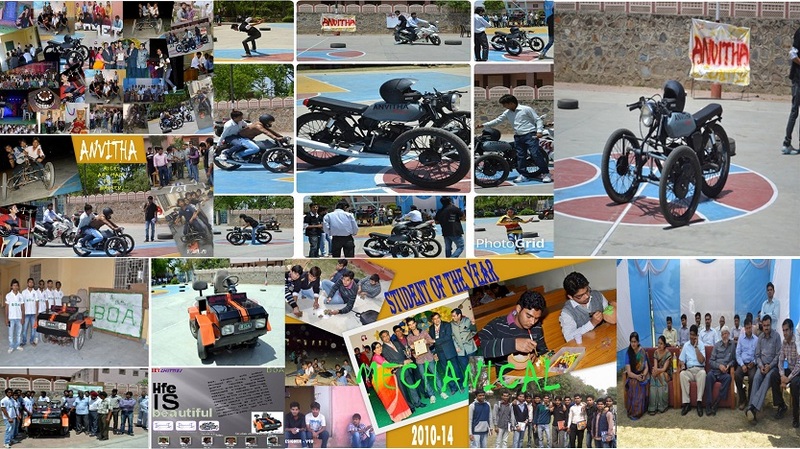 Mechanical engineering is a discipline of engineering that applies the principles of physics and material science for analysis, design, manufacturing and maintenance of mechanical systems. It is the branch of engineering that involves the production and usage of heat and mechanical power for the design, production, and operation of machines and tools. It is one of the oldest and broadest engineering discipline. Mechanical Engineering includes design, manufacture, installation and operation of engines, machines, robotics, heating & cooling systems and manufacturing processes. In this profession, you will be responsible for designing and developing machines right from bicycle to supersonic fighter jet which can be extremely challenging and fulfilling, requiring analytical skills together with an ability to work in a team. You must love machines and be comfortable working with tools. Graduates can work in the automotive, aerospace, chemical, computer, communication, paper, power generation and almost all manufacturing industries. Mechanical engineers also work in maintenance and service profiles in all industries. Also they can choose teaching profession in universities and colleges. 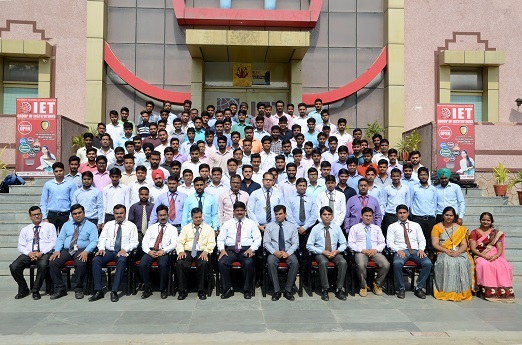 To become an eminent Engineering college contributing significantly to the advancement of Global society. We are committed to ensure and continually improve the learning environment and facilities for students to achieve academic excellence for employability as world class technocrats. Well Equipped and Advance Hi-tech Laboratories. Discipline among faculty, staff and students. Emphasis on character building through old cherished values of religion and spirituality. Department also provides skill development training for the students under PPP modules with the association of different Government bodies NIESBUD, MSME, DIC, NSDC etc. 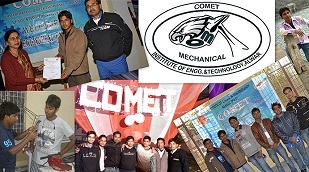 The students are provided the opportunities to engage in project works, seminars and workshops under the departmental society named "COMET", run by the students under the guidance of faculty coordinators. Computer-Aided Manufacturing (CAM) is the use of computer systems to plan, manage, and control the operations of a manufacturing. Department has industrial CNC lathe to manufacture the given model using facing, parting-off, turning, cutting operation etc. 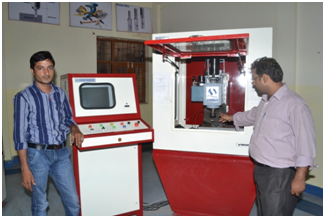 The lab is useful to train students for advance manufacturing sector like automobile, electronics goods manufacturing etc. CAD (Computer Aided Design) provides a convenient mean to create designs for almost every engineering discipline. It can be used for architectural design, landscape design, interior design, civil and surveying, mechanical design, electrical engineering, plant design, industrial design, duct design, electronic circuit design, plumbing design, textile design and product design. Department of Mechanical Engineering has dedicated computer aided design (CAD) lab which houses computers with up-to-date software. This lab is designed to educate students on the use of software such as MATLAB, AutoCAD, CREO, and CATIA-V5. These are widely used for the design, analysis and development of various components and assemblies of mechanical systems. The objective of the thermal engineering laboratory is to introduce the student to the fundamental theories and the industrial applications of thermodynamics, heat transfer, and fluid mechanics. 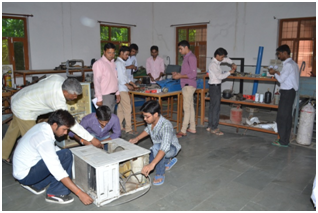 Students understand the construction, operation of different types of boilers, boiler mountings and accessories Experimentations in the lab make graduates ready to take challenges as Engineer in power plants, process industry and automobile sector. 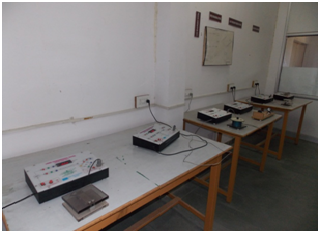 This lab is common for all branches of 1st year students with facilities to carry out experiments independently. The knowledge of machine tools, carpentry, fitting, welding and sheet metal shop is essential for engineering students. The Work shop is well equipped with Machining, Fitting, Carpentry, Welding, Smithy, Sheet metal, foundry and fabrication shops. 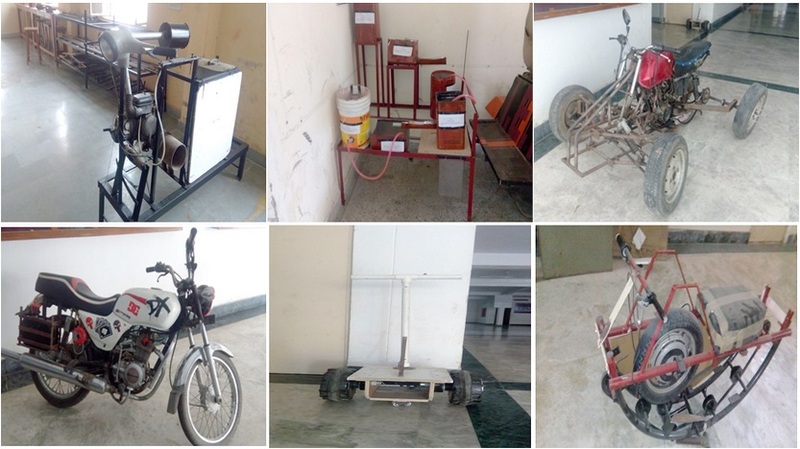 These shops enable the students to get 'hands on' experience of various manufacturing and fabrication methods. This lab introduces students to the behavior of fluids which they have studied, by using mathematical equations. It involves study of various properties of the fluid, such as velocity, pressure, density and temperature, as functions of space and time. Fluid mechanics is the branch of physics which deals with the properties of fluids, namely liquids and gases, and their interaction with forces. 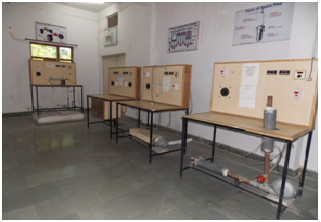 The lab is equipped with different flow measuring set -ups such as venturimeter, orifice-plate, pitot tube etc., where students can visualize the basic theory of working of the flow meter. 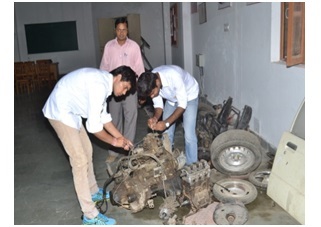 The lab enables students to understand the fundamentals of an automobile which includes structure, transmission system, power generation and electric system. The lab is well equipped with fuel injection systems, ignition system, steering mechanism, ECU system, multi cylinder engine, cut sections of engines, gearboxes, differential assembly, braking and suspension systems. This lab is very useful for automobile industry. Theory of Machines lab imparts practical knowledge on analysis and synthesis of mechanisms and machines. Machine kinematics and dynamics can be well understood by studying motion, velocity and acceleration of rigid bodies of the machine. 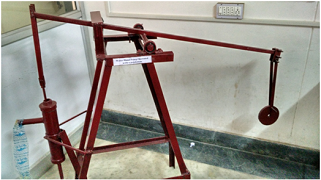 Lab is composed of wide variety of models to understand the kinematics of machines. To understand machine dynamics, various experiments of governors, gyroscopes, balancing and universal vibration facilities are available. Students can apply this practical experience in aerospace, automobile and production industry. 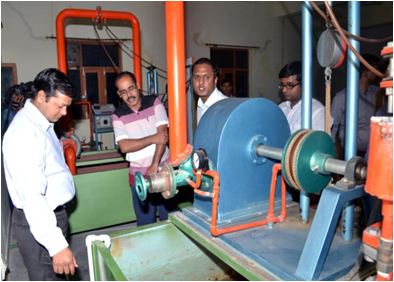 This lab has different models of pumps and turbines where students can study the performance characteristics of those machines. 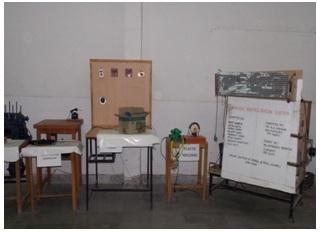 Students can strengthen their basic understanding of working and applications of these machines. They can study different types of pumps such as rotodynamic as well as positive displacement, different types of turbines such as impulse and reaction turbine etc. Moreover use of sensor in measuring many mechanical parameters such as pressure, flow, temperature, r.p.m. and the acquisition of data in those set-up impart a practical knowledge to the students for designing any experimental set-up. The term “mechatronics” refers to the use of electronics in mechanical control (i.e. 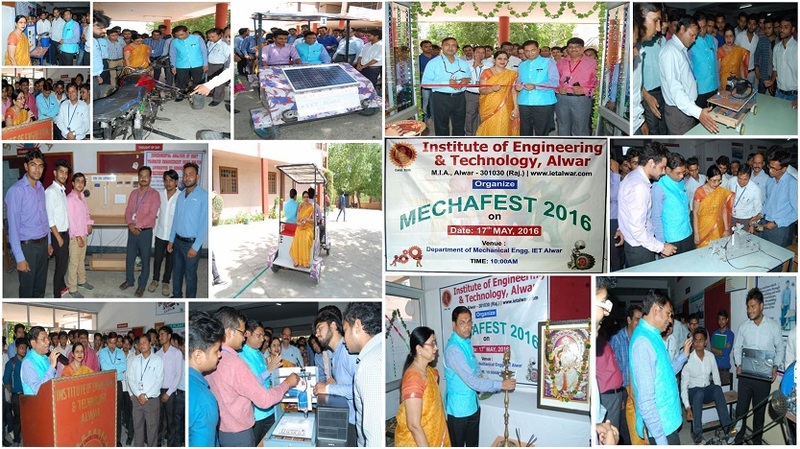 ‘mecha’ from mechanical engineering and ‘tronics’ from electrical or electronics engineering). Today, it’s generally defined as study concerned with the design, selection, analysis, and control of systems that combine mechanical elements with electronics components, including computers and or/microcontrollers. The Mechatronics Lab provides state of the art facilities and experimental setups to learn and enjoy the field of mechatronics. Modern society depends on mechatronic-based systems for modern conveniences. From intelligent appliances to safety features in cars such as air bags, and antilock brakes, mechatronic systems are widely used in every day life. The Mechanical Vibrations Lab is a modern facility for performing advanced vibration analysis. This laboratory is designed to do experiments on forced and free damped vibrations, vibration analysis of beam structures, torsional vibration, whirling of shafts and mass balancing of rotors, reciprocating machines and vibration terminology. The Mechanical Vibrations Laboratory provides opportunities for students to incorporate vibration analysis into the design, development, and optimization of products. Students use experimental modal analysis hardware and software for conducting design and analysis studies. The lab also provides tools for design projects, which involve concepts and applications in terms of dynamics, vibrations and controls. 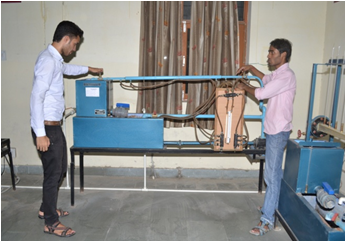 This laboratory equips students with the current industry practice in vibration based analysis and design of products. The Materials Science & Testing Laboratory provides opportunities for analysis of metals, plastics, ceramics, and composites. Students learn about various techniques to characterize materials and determine their mechanical properties. The equipment in the lab is also frequently used by students and faculty for design and research projects. The lab enables students to study the properties of engineering materials, and the relationships between these properties and atomic structure, and allows them to logically select materials for certain applications, and to modify or design new materials to meet specified needs. Heat Transfer lab provides fundamental and industrial knowledge about modes of heat transfer, like conduction, convection and radiation, and their application. Thermal conductivity of metallic rod apparatus, Thermal conductivity of insulating powder apparatus, , Pin-Fin Apparatus, Vertical tube loosing heat under natural convection, Emissivity measurement apparatus, Stefan Boltzmann apparatus, Parallel and counter flow heat exchanger etc. The aim of I C Engine lab is to teach the applications of basic laws of thermodynamics, process of energy conversion in I.C. engines. 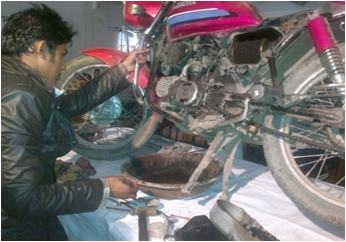 The lab is well-equipped and enables students to understand the basic construction of two stroke and four stroke diesel and petrol engine. The lab also contains basic parts of an engine like carburetor, Fuel injection system, engine cooling system. The internal combustion engine is a rich source of examples of almost every conceivable type of heat transfer. There are a wide range of temperatures and heat fluxes in the various components of the internal combustion engine. 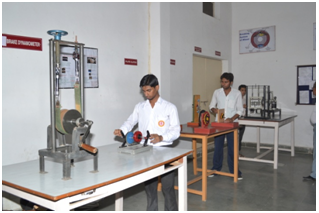 The objective of this lab is to demonstrate the basics of mechanical engineering. This lab provides knowledge about petrol and diesel engines, refrigeration and air-conditioning, boilers, power drive systems, turbines and pumps etc. Project lab provides students a place where they can make & assemble their final year projects while working in groups. These projects help in improving their creativity & resourse management skills. Students can store their projects in this lab. These housed projects help junior students in stimulating their thinking to explore ideas for their forthcoming final year projects. Engineering drawing is the scientific representation of an object, according to certain national and international standards of practice. It can be understood by all, with the knowledge of basic principles of drawing. Machine drawing is the indispensable communicating medium employed in industries, to furnish all the information required for the manufacture and assembly of the components of a machine.Machine Drawing lab enables the students to become proficient inengineering drawing –the language of engineers. Structure and Duration : Following programs are being run by the IET – Mechanical Engineering Department,Alwar and is available for the students in India & Abroad. Bachelor of Technology (B. Tech.) by the Rajasthan Technical University, Kota. B.Tech. (Morning) : The minimum qualification is 10+2 (Class XII) with 45%(General Category) and 40% for (SC,ST Category) and with the subject group Physics & Mathematics as Compulsory subjects and Chemistry, Biotechnology, Computer Sc. and Biology as optional subject (anyone of the optional subjects) of any recognized Board or any other equivalent recognized examination. B.Tech. (Lateral Entry) : The minimum qualification is Diploma in Engineering (Polytechnic) and 10% seats are reserved to take admission in third semester directly. COMET is the society established in May 2016. The society is created to motivate the students to explore and enhance the Mechanical Engineer inside them & to promote inter-change of information amongst the specialist and between the specialist and public. The society aims at establishing strong link viz, stable networking of the budding technocrats, the main spring of the modern industrial environment. It also promotes scientific and educational activities towards the advancement of the theory and practice of Mechanical Technocrats. It will make enormous contribution to campus life & will provide the much needed fun. 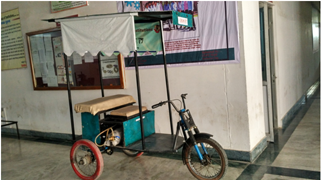 In this project, a new engine called as compressed air engine which does not require any of the conventional fuels, is designed and run on the compressed air only. A proto type, a horizontal single cylinder low speed engine was modified to run on compressed air. Since, this engine runs only on high pressure compressed air, the exhaust of which is undoubtedly only air, it is a zero pollution engine. No heat is generated because there is no combustion of fuel, hence this engine needs no cooling system and it results in reduced cost, weight, volume and vibration. Early cost analysis shows that it's very cost effective and the operational cost is one tenth of that of petrol or diesel engine. Motive of the project is to introduce the ROBOTIC TECHNOLOGY in the field of Agriculture & Plantation and make use of SMART SYSTEMS for achieving better results by automating irrigation. 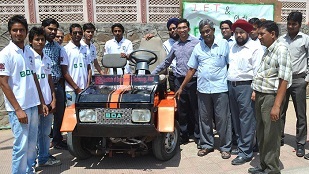 The project titled as “Autonomous Garden Robot” is designed to resolve the issue of timely and precise irrigation of plants. It makes use of Infra-Red sensors for the control of its motion as it has been designed as a Line Follower Mechanism. 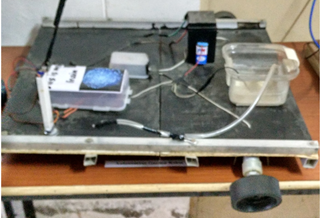 It uses simple sensor based technology to sense the moisture level of soil and determines the requirement of water & then with the aid of programmable code in microcontroller and a micro pump, it takes the required action. A pump is a device that moves fluids (liquids or gases), or sometimes slurries, by means of mechanical action. Pumps can be classified into three major groups according to the method they use to move the fluid: direct lift, displacement and gravity pumps. Pendulum is a simple body which moves freely until any damper is present. Hence, if the oscillation is forced, then it is possible to gain continuous movement. The objective of the project is to create the oscillation with the application of minimum energy. The link mechanisms have been used to attain the linear motion to run the pump from the oscillatory motion of the pendulum. The energy consumption of this system will be less as compared to the lever operated pump.